There's no way that could happen. The BetterFps Installer does not remove anything installed to your game, it just adds itself. Are you sure you have installed both of them in the same profile? Do you have any crash logs? What does each algorithm do? 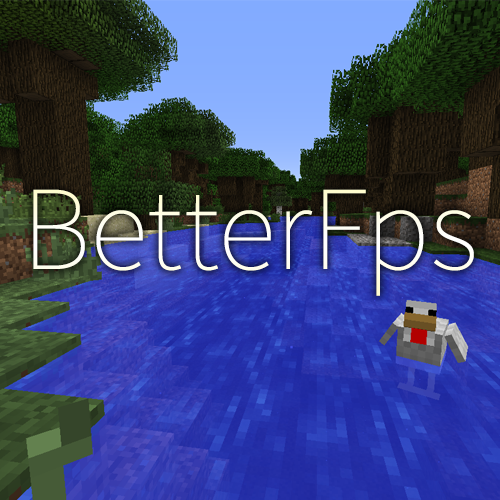 If you put this mod together, with Optifine, you get a lot of FPS! THANK YOU FOR THIS MOD !!! In reply to Zolonos: I would reply with the "Java" one. But since your using a AMD processor I would therefor recommend using the: "Rivens Half"
@Guichaguri. Which algorithm would you say was the best? Which one of those seven are you using by default? PS: I love this idea. Um, didn't there used to be menu mod option tweaking??? It still does. Are you using Forge, LiteLoader or in vanilla minecraft? Which version of the mod are you using? Do I Need Forge To Use This Mod? No, you can install it in vanilla Minecraft or with LiteLoader.